In 1652 families from Cambridge and what was later Woburn occupied land that the local Indians called Shawshin. 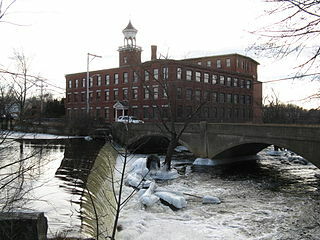 The town was resulting town was incorporated as Billerica after Billericay, Essex, England. Internet Archive: Farmer, John, An Historical Memoir of Billerica, Amherst, NH, R. Bolyston, 1816.